Two games have been added to Nintendo’s maintenance schedule for the coming days. Minecraft: Wii U Edition will be first, and will be seeing maintenance tonight. This is likely so the new patch can be deployed. 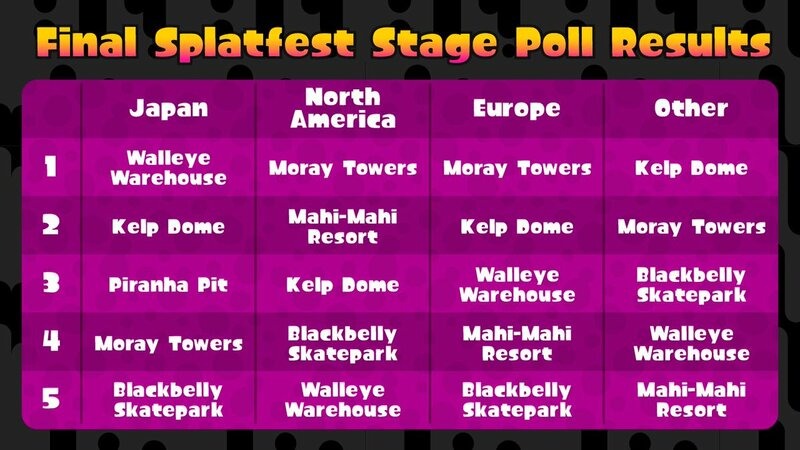 Update (7/26): Added in a European compilation of Splatfests below. Original (7/24): Splatoon’s very last Splatfest has come to an end. All have the battles have finished, and the final results are in. The outcome was close for both votes and wins. 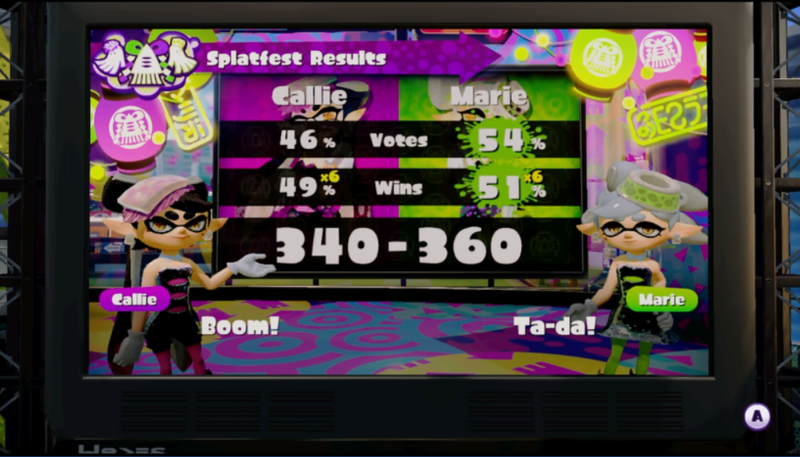 However, Team Marie had slight edges in both (54 percent and 51 percent respectively). Because of that, they prevailed with a final score of 360 to 340. 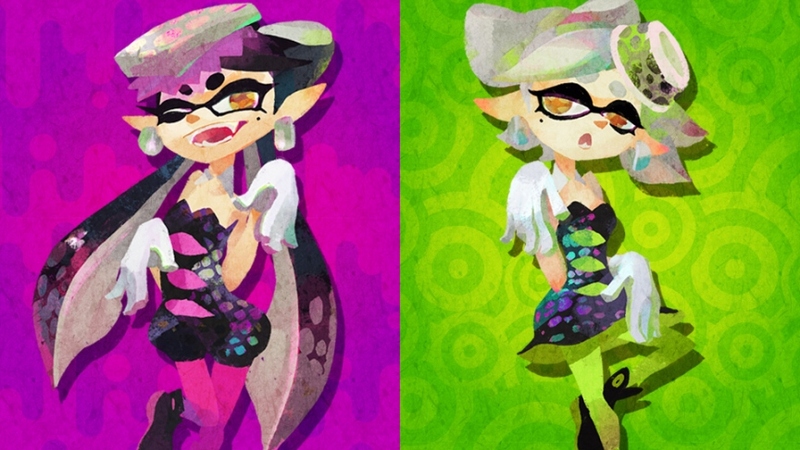 Nintendo shared the results of Splatoon’s final Splatfest on Sunday. 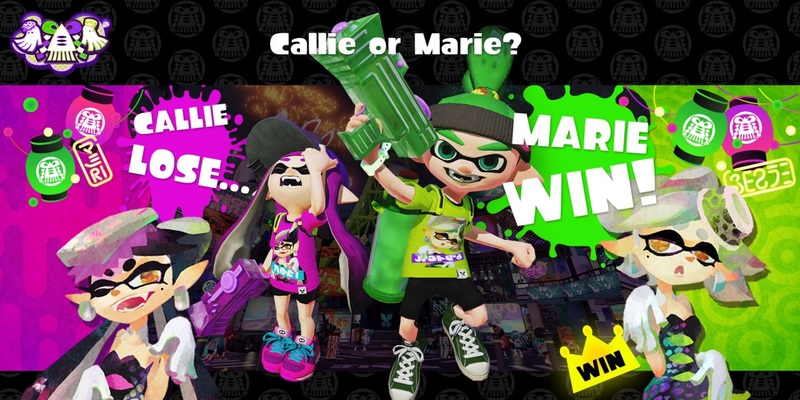 It was close, but Team Marie prevailed due to slight edges in popularity and wins. Since this was the final Splatfest, Nintendo did something a bit special. 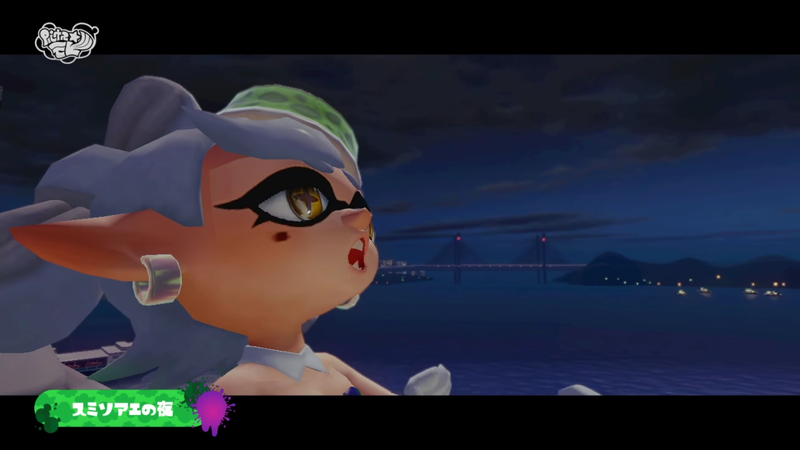 Those who were in the top 100 of the Callie vs. Marie competition were recorded, and the results were highlighted on the game’s official Tumblr. Head past the break for the full list. Splatoon’s final Splatfest drew to a close yesterday. Even though the dust has settled on the last major event, Nintendo ended up making two notable changes to the game. First, players are now given more bonus points for winning a Regular Battle, earning 1000 points per win (compared to the previous 300). 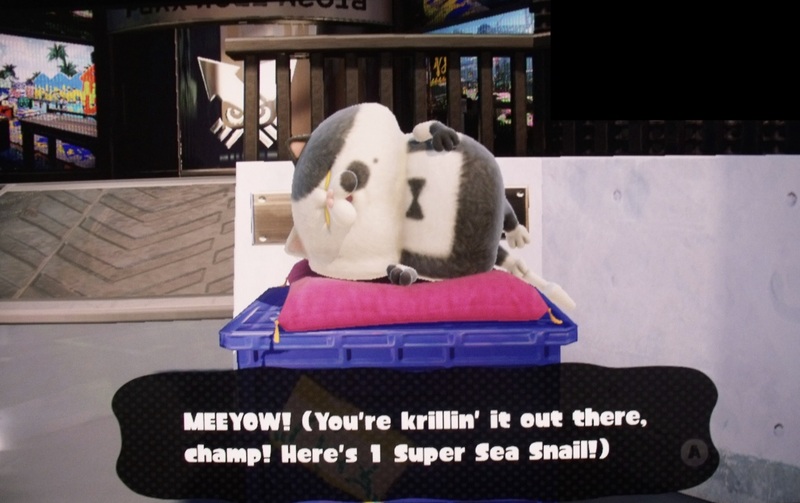 We’re also hearing that by coming out on top in 30 matches, you can acquire a Sea Snail. Judd will keep track of how many battles you win. Talking to him is how you’ll obtain Super Sea Snails. It’s finally here! Splatoon’s last ever Splatfest is now up and running. 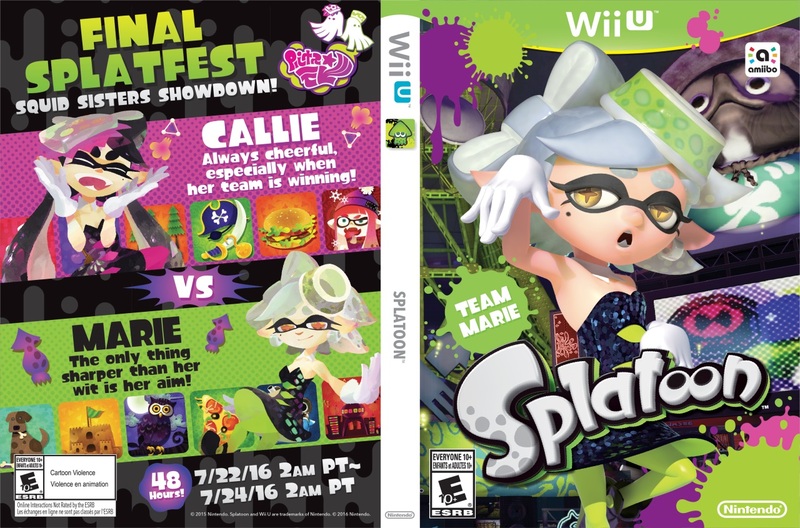 This weekend’s battle has the Squid Sisters going head-to-head – it’s Callie vs. Marie. The last Splatfest will end at 2 AM PT / 5 AM ET / 10 AM in the UK / 11 AM in Europe on Sunday. It’s unclear when the results will be made available, but we’ll bring them to you as soon as possible. Nintendo has just added a new item to today’s maintenance schedule. 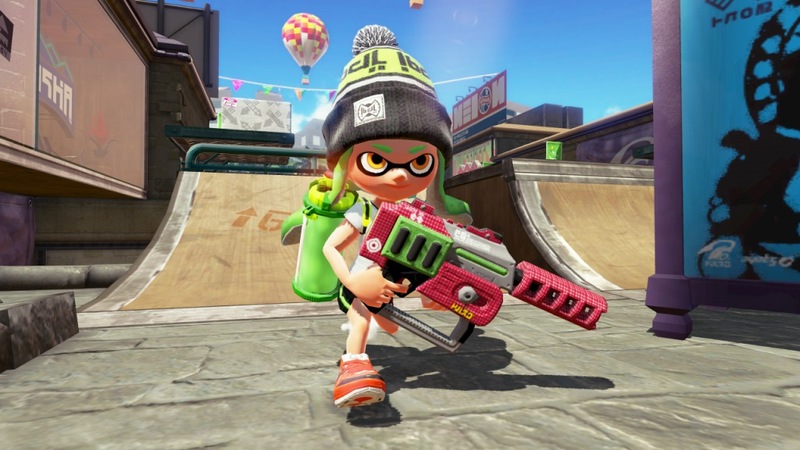 Splatoon will be undergoing maintenance for around two and a half hours starting in ten minutes. The very last Splatfest in Splatoon is almost here. With the event just on the horizon, Nintendo has announced which stages will be featured in the different regions. 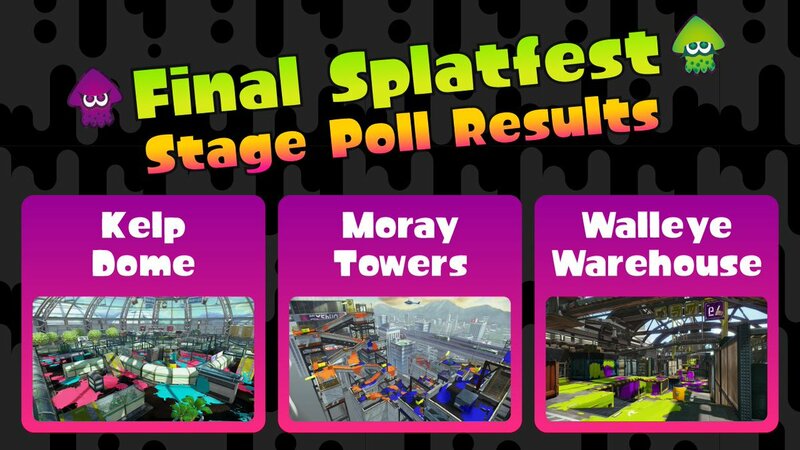 Kelp Dome, Moray Towers and Walleye Warehouse were selected. Splatoon’s last Splatfest begins at 2 AM PT / 5 AM ET on Friday. 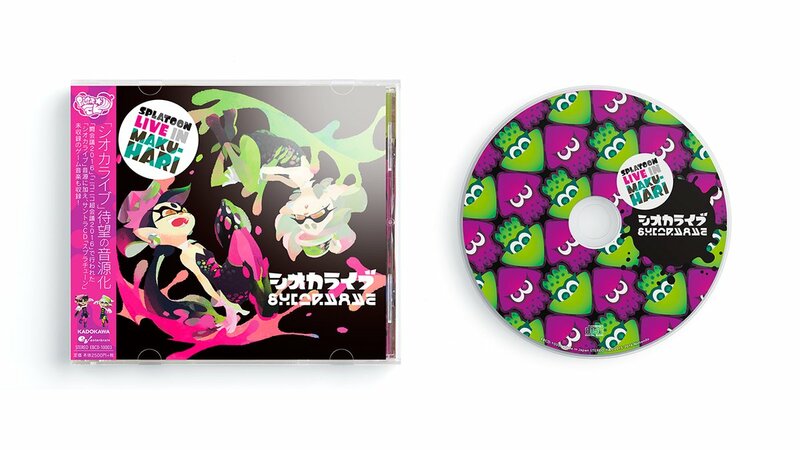 The Splatoon Live in Makuhari CD came out in Japan last Wednesday. According to Oricon, the package sold 10,345 copies in its first week. It was also the eighth best-selling album during that period. 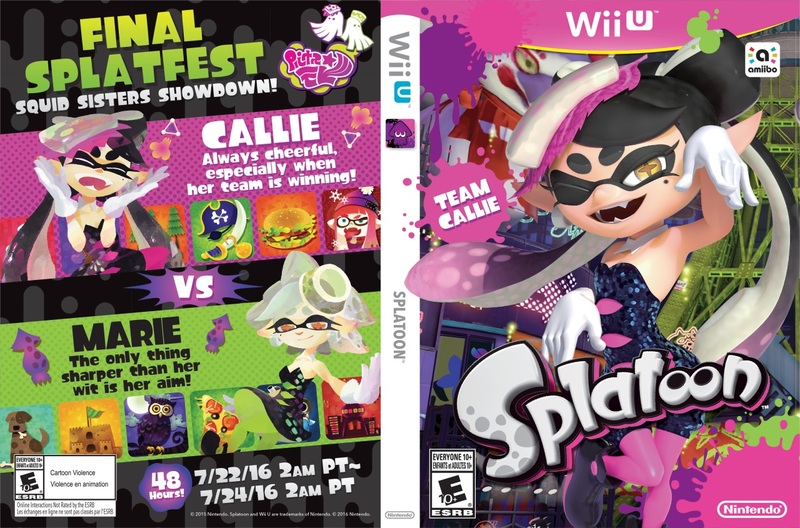 Splatoon’s final Splatfest, which pits Marie and Callie up against each other, isn’t too far off. Nintendo is gearing up for the big event in various ways: like with some printable alternative boxart, for example. 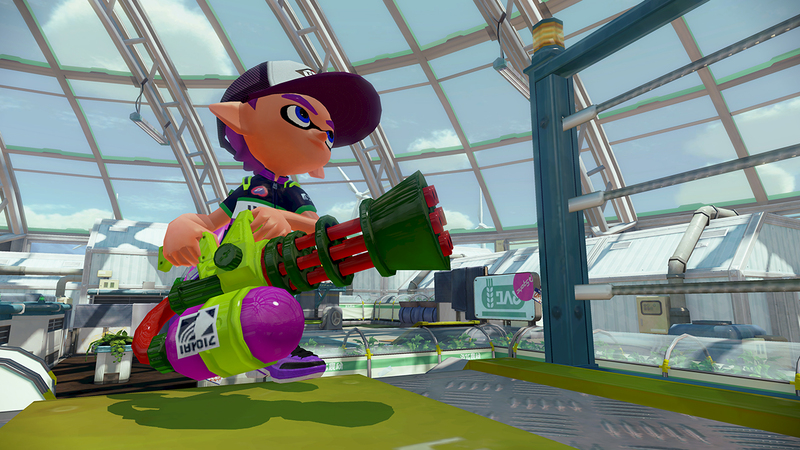 We’ve attached both to this post, but they’re also located on the Splatoon Tumblr here.